Free same-day delivery is a nice perk that millions of Amazon Prime customers in and near major cities nationwide have access to. But not all access is created equal, as a recent investigation found out, and the map of who was being excluded has some unpleasant undertones. 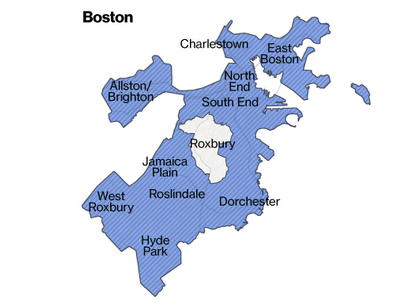 In Boston at least, the city with the most obvious delivery hole, Amazon is now changing its tune and will expand service to all residents. Bloomberg’s story traveled very quickly and gained a great deal of subsequent media attention. In the following days, state and local politicians, from Boston mayor Marty Walsh to Senator Ed Markey, called on Amazon to fix the problem — a sentiment echoed by residents and nonprofit groups. A week of that kind of attention appears to have been quite enough for Amazon, which yesterday announced that it would figure out a way to service the whole city of Boston with same-day Prime delivery, the Boston Globe reports.